End your perfect day with a sunset safari at Berluda Farmhouse and Cottages and discover the sights, sounds, smells and tastes of the Little Karoo. An opportunity to see not only species such as giraffe, springbok, kudu, eland and wildebeest, but also some of the almost 150 species of birds, including the fish eagle. 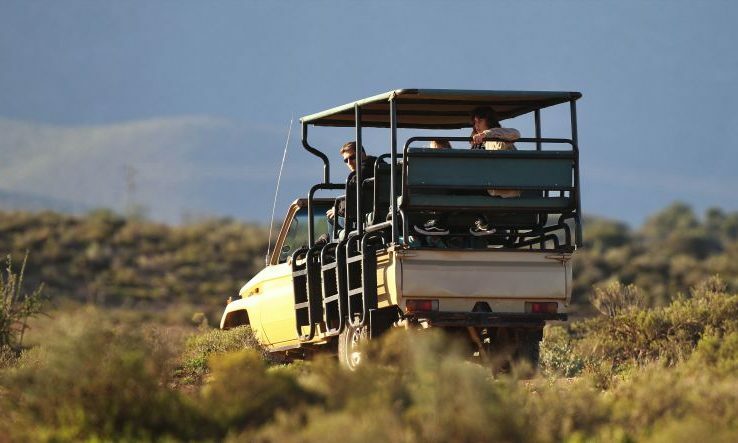 Our wildlife reserve comprises a combined area of over 5000 hectares, and our guide introduces you to some of the indigenous Karoo vegetation, some to be found nowhere else in the world. Enjoy one of the magnificent Karoo sunsets over the Swartberg Mountains while sipping a sundowner.